Born December 28, 1925, in the Hudson Mill Community of Colleton County, she was a daughter of the late William Hiram Preacher and the late Maude Alma Carter Preacher. She was a retired inspector from Asten Hill in Walterboro. A member of Pine Grove Baptist Church No. 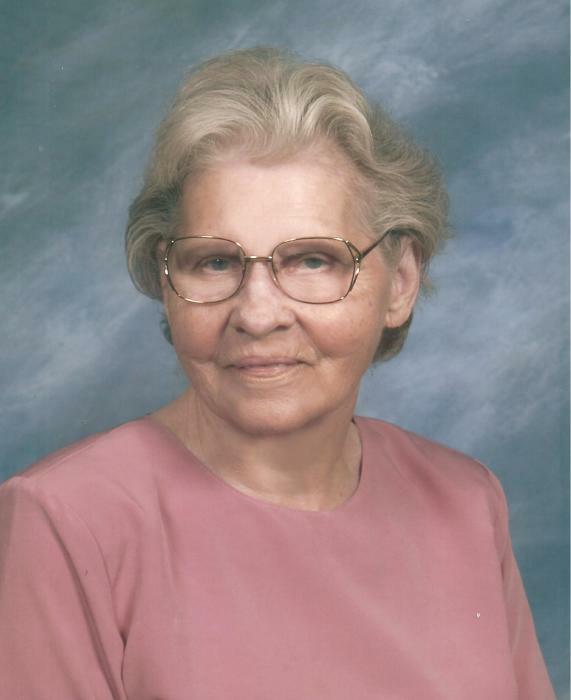 1, she was a member of the Women’s Missionary Union and the Senior Adult Sunday School Class. Mrs. Maude was well known as an organizer, who had to have everything just perfect. She was a dear and loving mother to seven children and a host of family whom she adored. Surviving are: her children, Evelyn Nettles Crosby and her husband Wayne of Columbia, Gloria Nettles Syfrett and her husband Bobby of Walterboro, Bonnie Nettles Seigler and her husband Richard of Round O, and Eanos Henry Nettles, Jr. and his wife Karen of Round O; a son-in-law, The Reverend Wayne Wiggins; sixteen grandchildren; thirty-two great grandchildren; and several great great grandchildren. She was preceded in death by three children, Frances Victoria “Vickie” Nettles, Donna Gail Nettles Montjoy and her husband Larry, and Susan “Susie” Clarissa Nettles Wiggins; sister, Dorothy Preacher Nettles and her husband Parker Mitchell Nettles; a brother, Harold Preacher. Funeral services will be conducted at 2 o’clock on Saturday afternoon, February 2, 2019, at Pine Grove Baptist Church No. 1, 99 Pine Grove Road, Walterboro with The Reverend Ken McCaskill officiating. Interment will follow in the church cemetery. The family will receive friends prior to the funeral service beginning at 1 o’clock that afternoon in the church sanctuary.